Both Short Books and Siân Pattenden are new to children’s fiction; and their first novel for children does have a quirky fresh voice. 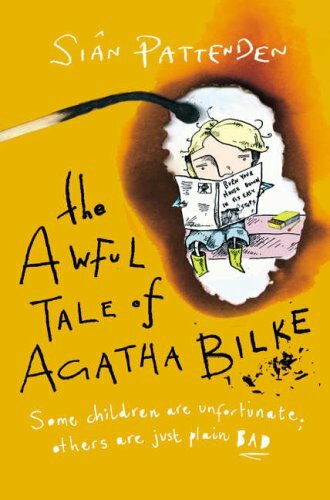 The eponymous Agatha Bilke, introduced in the first chapter by a knowing world-weary narrator, sets fire to things. The following chapters introduce us to more problem children: Paul, who is afraid of toast; Brenda who always shouts; Miriam, who wears a corrugated iron hat to protect her from falling objects; and, my own favourite, Barry, who always refers to himself in the third person. They all seek a cure at the TreadQuietly Clinic for Interesting Children, run by Drs Tim and Alan Humphrey.